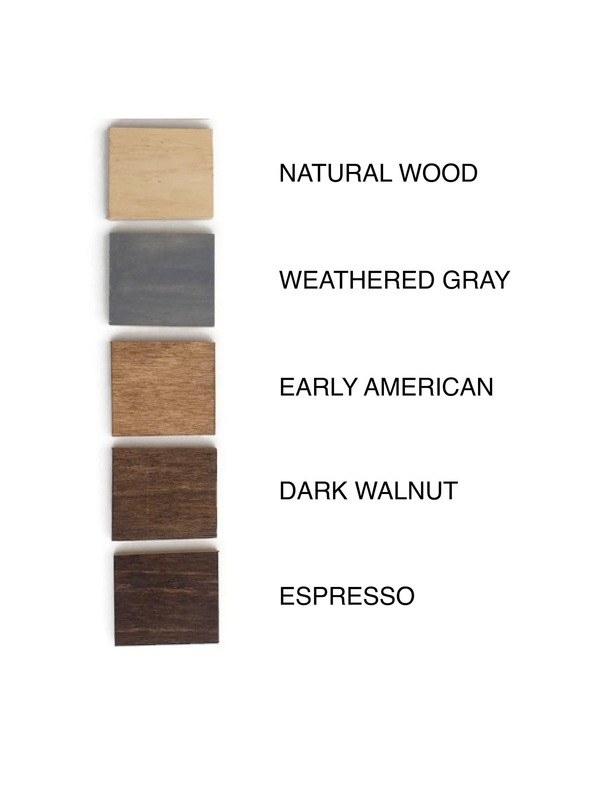 • Color: Please see dropdown box and 5th image above for color choices (Natural Wood stain shown in images). 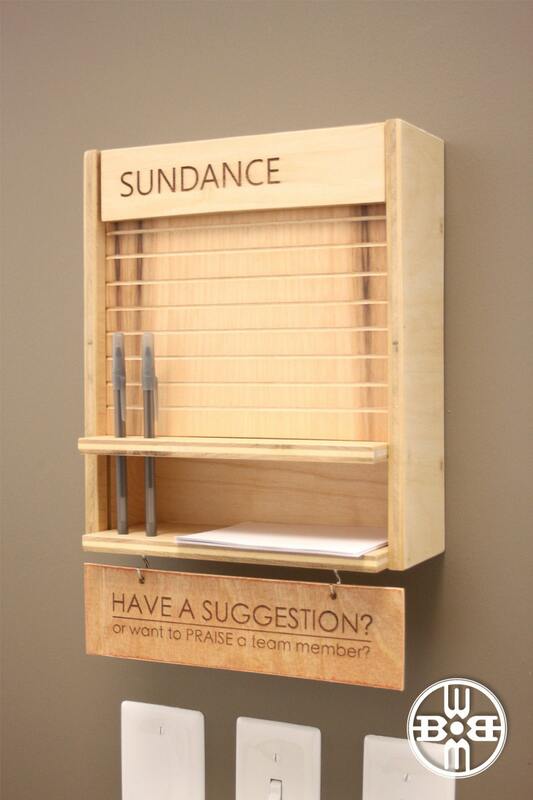 • Made of birch plywood and artfully hand tooled, our suggestion box adds sturdy design with great function. 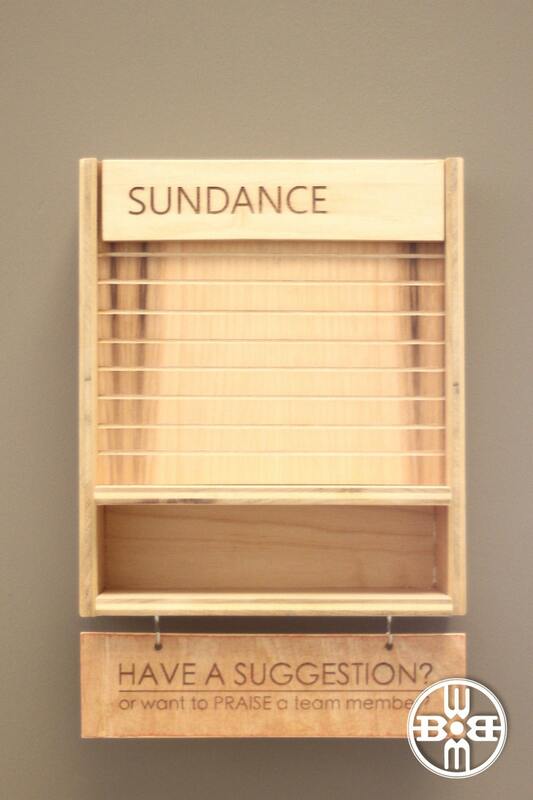 • Product is adorned with custom laser engraved lettering of your choosing, as seen in images. • The item is easy to install with four screws and wall anchors provided for your convenience. Four pre-drilled holes allow you to secure the item directly through the back panel into the wall. Simply lift the front sliding door to access the pre-drilled areas. 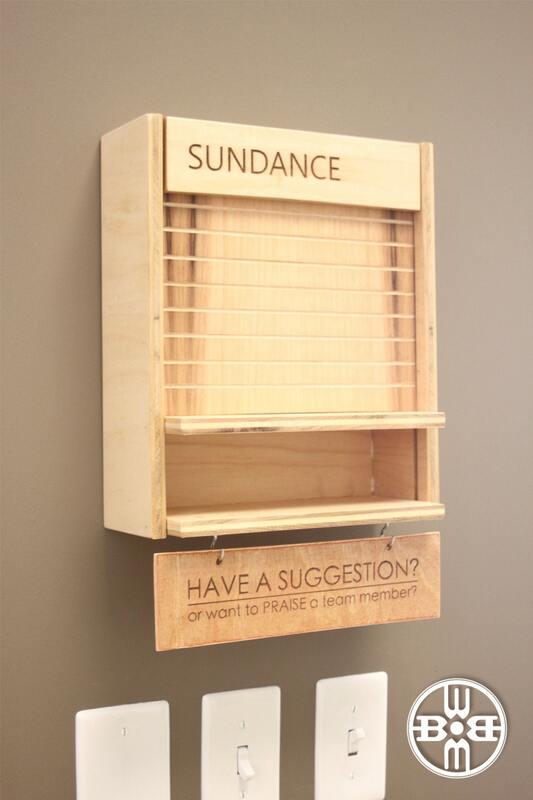 • Your modern suggestion box / comment box ships via USPS in 7-10 business days following receipt of payment. Need a modern design suggestion box, collection box, wedding card box, ballot box, comment box for your office or establishment? This original design uses a hidden sliding front door for easy access to the contents (door does not lock). 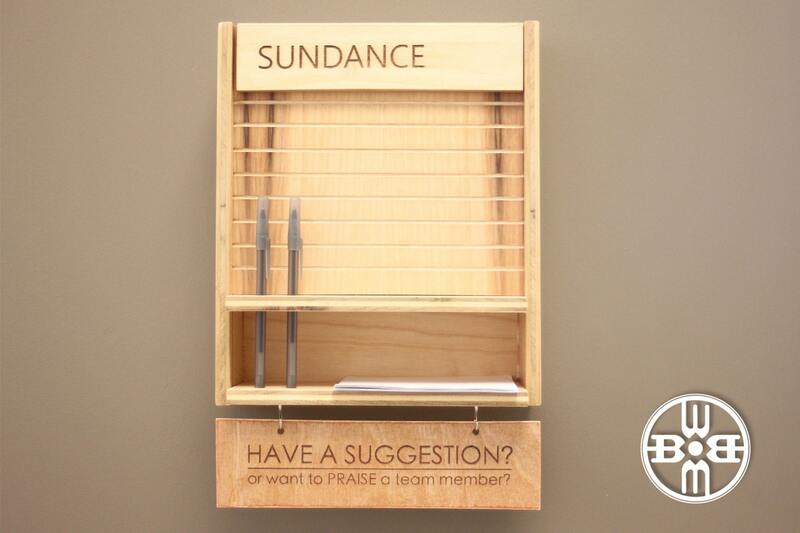 Two holes function as pen holders, while a small shelf provides storage for comment cards and/or envelopes. The item comes with a personalized name or word as seen in the image. Please convo us to confirm the name or word prior to order. Due to the limited available space, it is critical this is reviewed before construction of the product. Other color options are available. We can discuss details during the custom order process. This version also features a 10" x 3" hanging custom sign that is suspended underneath the item by two nickel plated hooks. Please see images for example. The sign can be text only up to two lines. Please convo us with questions and for details on sign customization. Proofs of the personalized verbiage will be confirmed prior to initiation of construction.